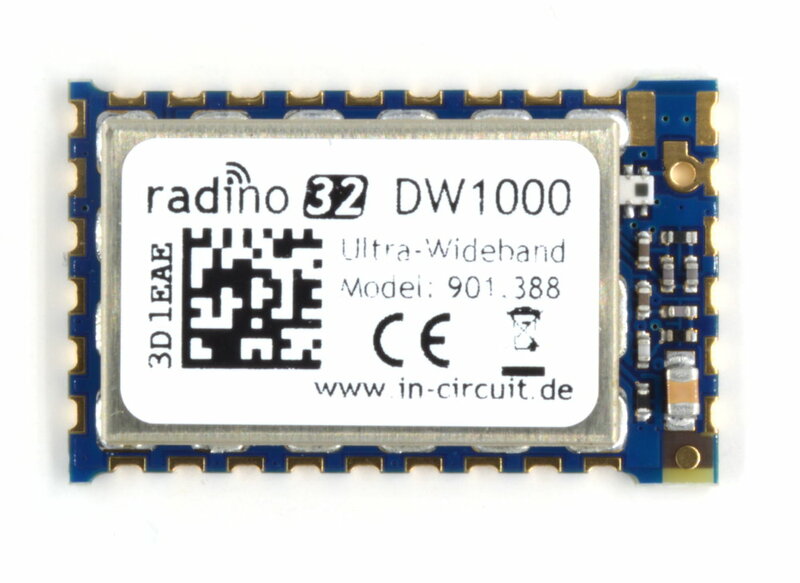 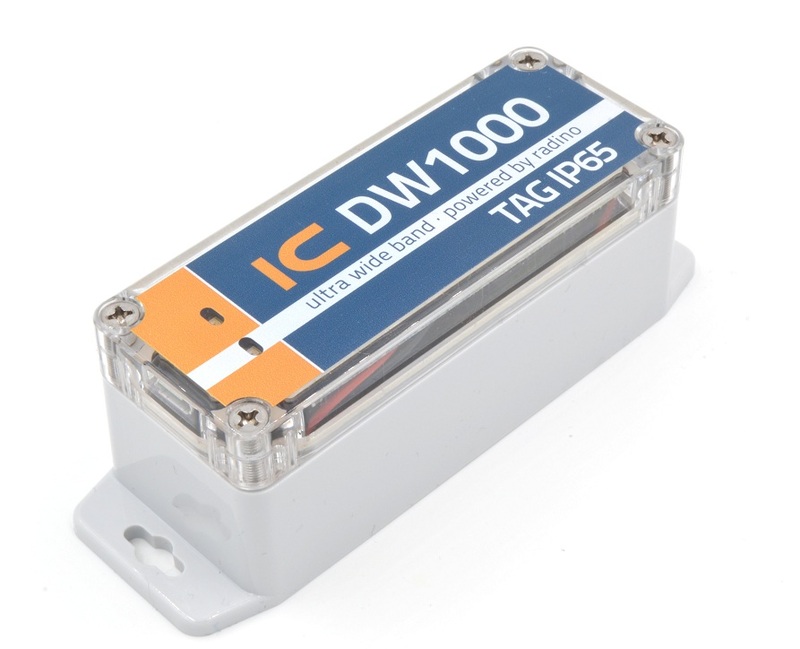 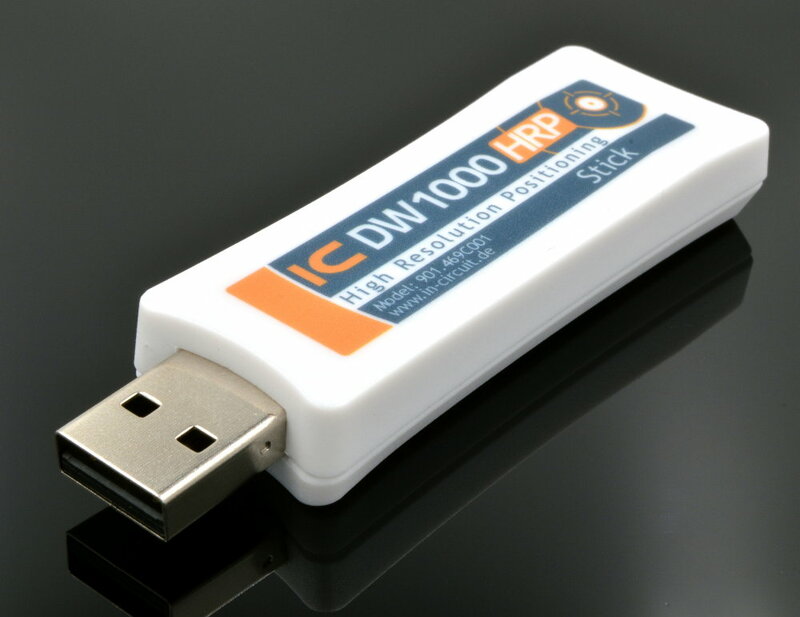 The In-Circuit radino32DW1000 combines an STM32L151 with the DW1000 UWB radio from Decawave in a small form-factor EMC-compliant module. 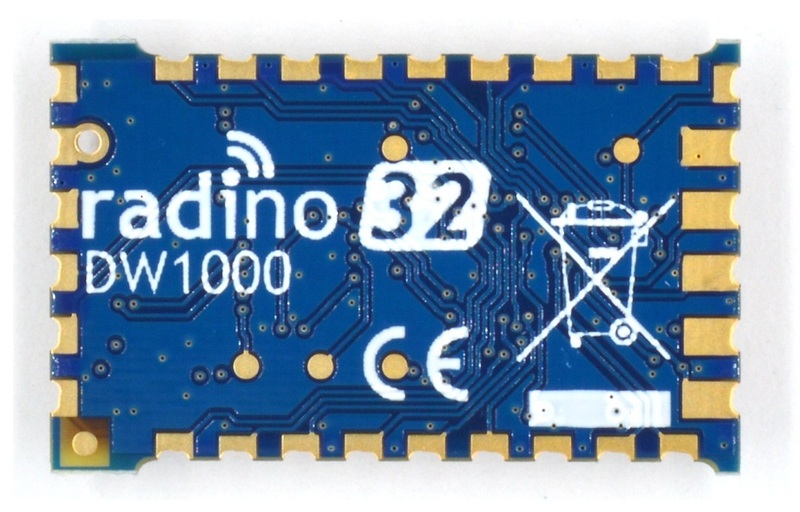 The radino32 DW1000 is part of the radino-series, which provides full-Arduino-compatible wireless communication devices in a small form factor. 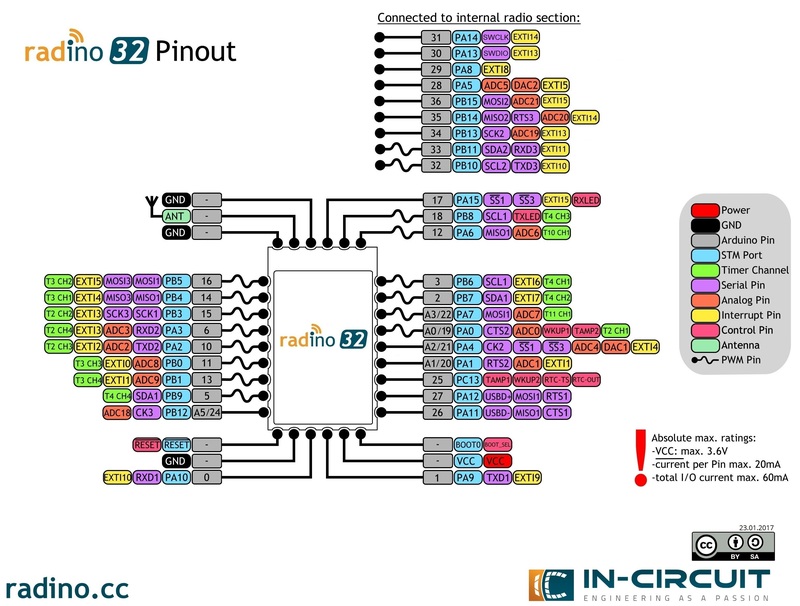 All radino moules are pin-to-pin compatible. 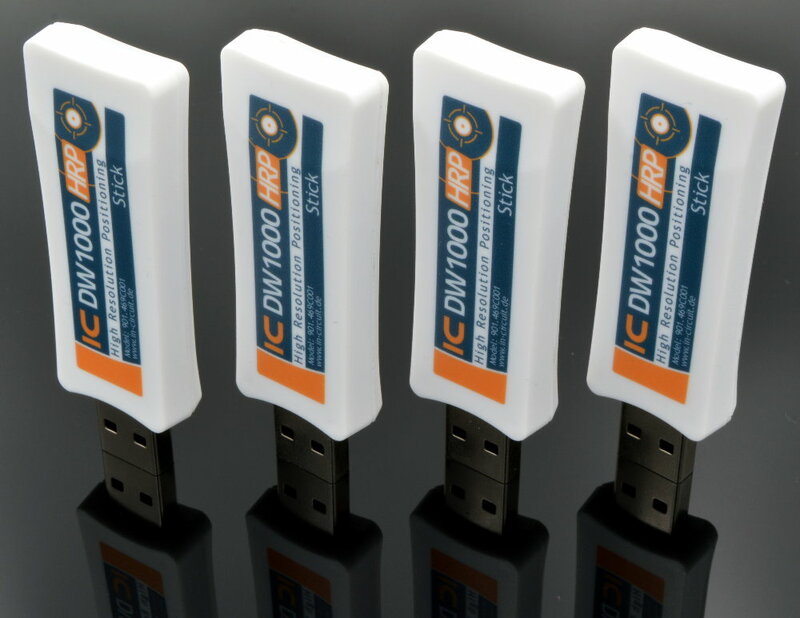 The radino32 DW1000 is shipped ready to use. 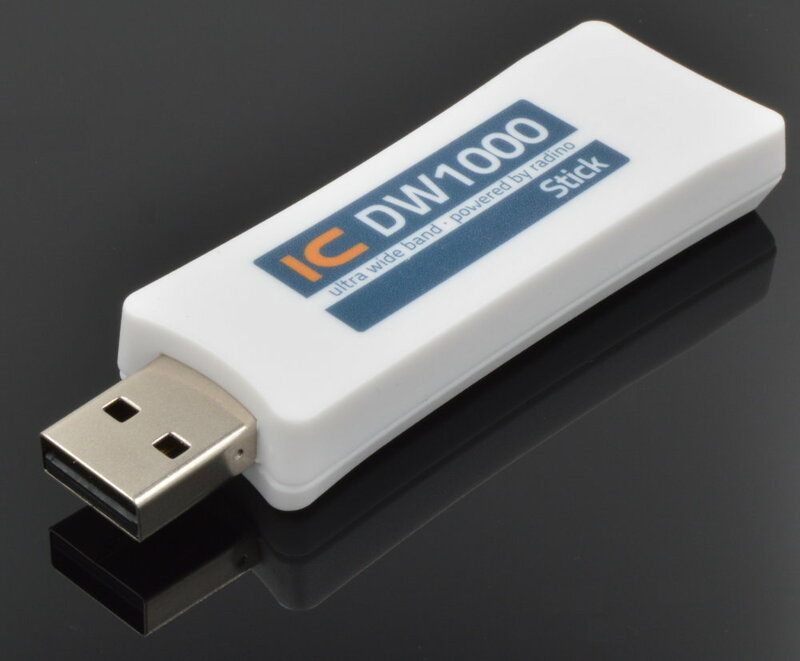 Programmed is the freely avilable examplesketch dw1000_advanced_demo from our radino Library for Arduino.